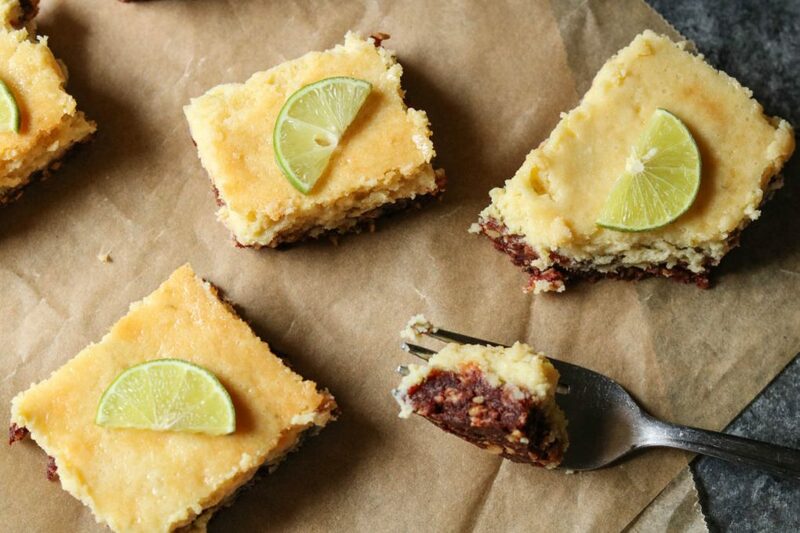 If you love key lime pie you’re going to love these gluten-free key lime bars! 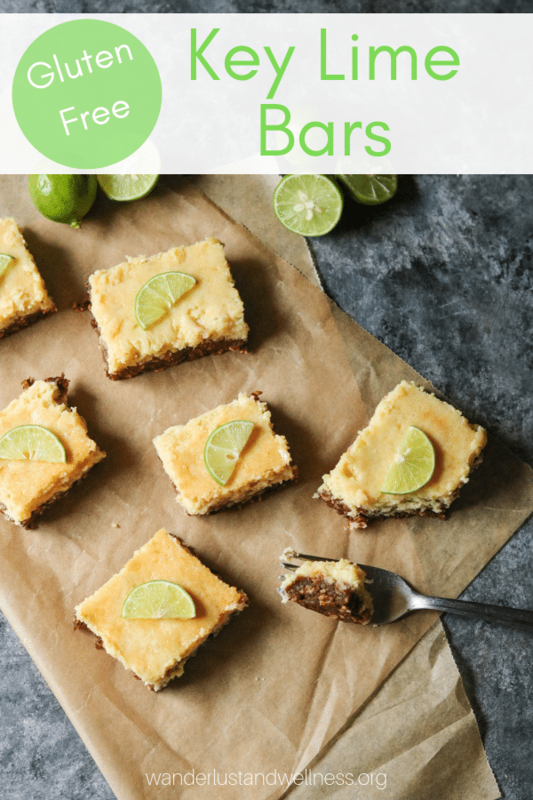 Made with an ooey-gooey crust and topped with rich key lime pie filling, these bars are a delicious gluten-free dessert. I love bringing these to a family dinner or a summer picnic – they’re a definite crowd-pleaser! This gluten-free dessert is one of my favorites! With a crust made from Medjool dates, rolled oats, coconut oil, and cinnamon, you get a super easy gluten-free “crust”. The filling is made with egg yolks, sweetened condensed milk, key lime juice, and key lime zest. I always use Eagle Brand® sweetened condensed milk, but if I need a dairy-free option I use coconut sweetened condensed milk. 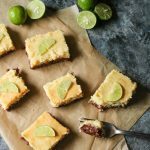 These gluten-free key lime bars are the perfect dessert to bring to your next picnic or potluck. In a food processor, add the dates, oats, cinnamon and coconut oil. Pulse until combined. Grease an 8X8 glass pan and press the crust into the bottom of the pan. Use a spoon to smooth out evenly. In a medium-sized mixing bowl, add the egg yolks, sweetened condensed milk, lime zest, and lime juice. Mix on low speed until well-combined. Pour over the crust. Cook for 45 minutes or until a knife comes out clean in the center as it may take longer than 45 minutes to cook through the center. Remove from oven and let cool. Slice into squares, garnish with key lime pieces if preferred, and serve. What if I need a dairy-free dessert? You can swap in coconut sweetened condensed milk for regular sweetened condensed milk for a dairy-free dessert option. Can you substitute regular milk for the sweetened condensed milk? A key lime is a hybrid lime with higher acidity and a stronger aroma. Key limes are also smaller in size. Can I use regular dates in place of Medjool dates? I would not suggest swapping dates for this recipe. Medjool dates are fresh fruit that has not been processed or dried. They have a soft, chewy texture and it’s that element that is needed to make the crust on this recipe. Enjoy these other key lime recipes! 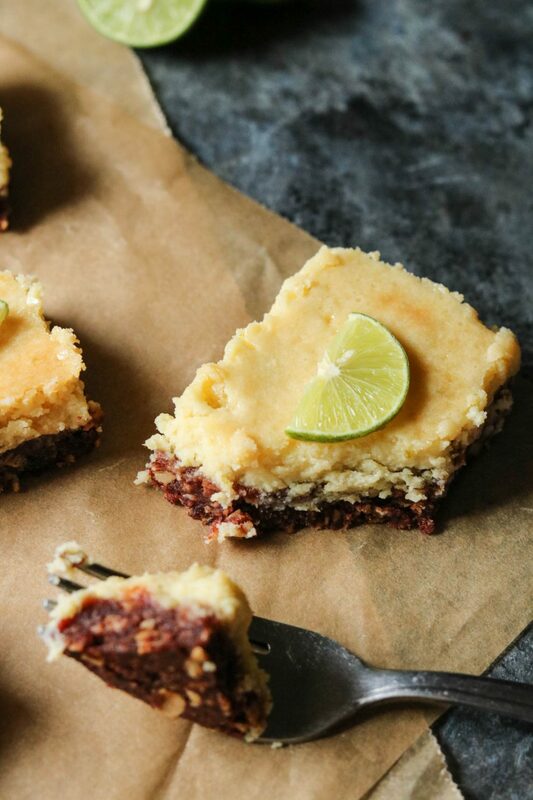 If you love key lime pie than you’re going to love these gluten-free key lime bars! In a food processor, add the Medjool dates, oats, cinnamon, and coconut oil. Pulse until combined. Grease an 8×8 baking dish and press the crust into the bottom of the pan. Use a spoon to smooth out evenly. In a medium-sized bowl, add the egg yolk, sweetened condensed milk, lime zest, and lime juice. Mix on low speed until well-combined. Bake for 45 minutes or until a knife comes out clean in the center. Slice into squares, garnish with key lime slices and serve.